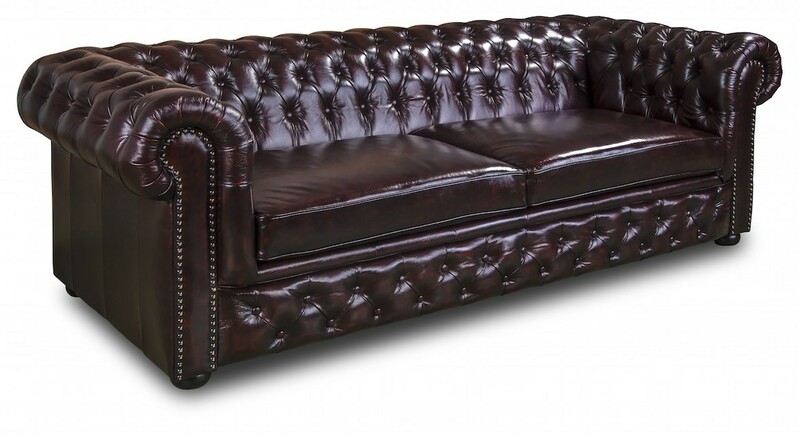 This beautiful, classic chesterfield style sofa bed lounge is available in your choice of leather. Its construction of hardwood and plywood frame is backed up by a 10 year warranty on the frame. 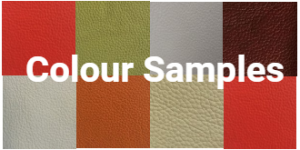 The seat has pocket springs in the cushions ensuring long life and comfort. 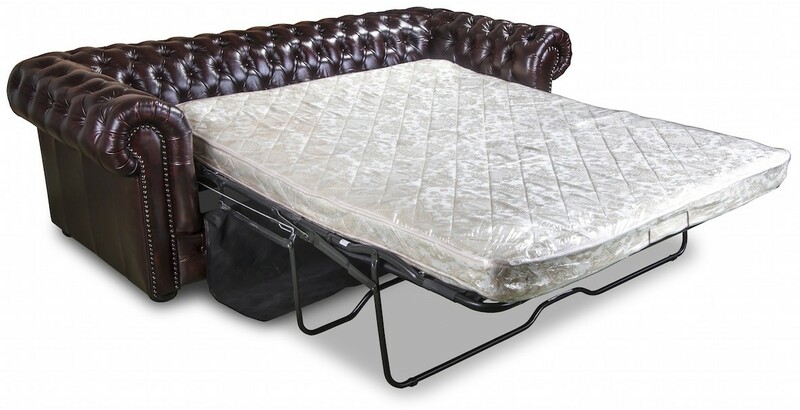 The mattress is a trampoline base with a foam mattress.This classic chesterfield is available in a wide range of colours.